Once mashed potatoes reach the glue stage, there's no going back. Your potatoes may taste fine, but the thick, gloppy texture could be more than your guests can stomach. Aside from using the potatoes to create a new kind of side dish, the best thing you can do is learn what causes this potato mishap, then start over or apply this knowledge to your next batch. No matter the variety, potatoes contain starch. When you cook potatoes and begin mashing them, that action releases starch. Too much starch causes potatoes to go from great to glue. Unfortunately, once potatoes have released their starch, they can't un-release it. 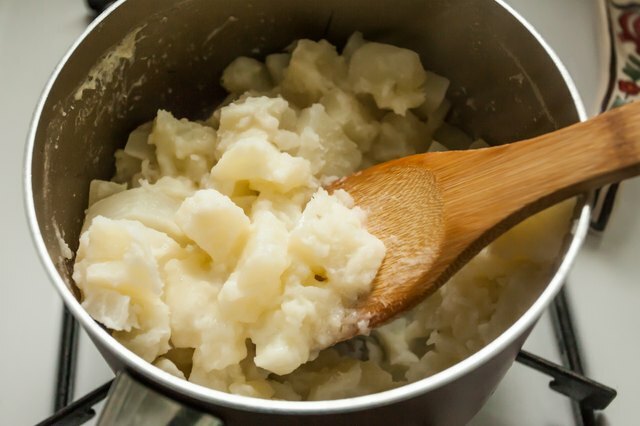 The three factors that lead to gluey potatoes are overworking, working too aggressively and using the wrong type of potatoes. Tools such as electric mixers, food processors and blenders almost always cause the dreaded, unappealing, gluey consistency. These tools not only overwork the potatoes but they work them too aggressively. Instead, use a handheld potato masher to mash the potatoes until they're just broken apart, then use a wooden spoon to gently stir in butter and cream. 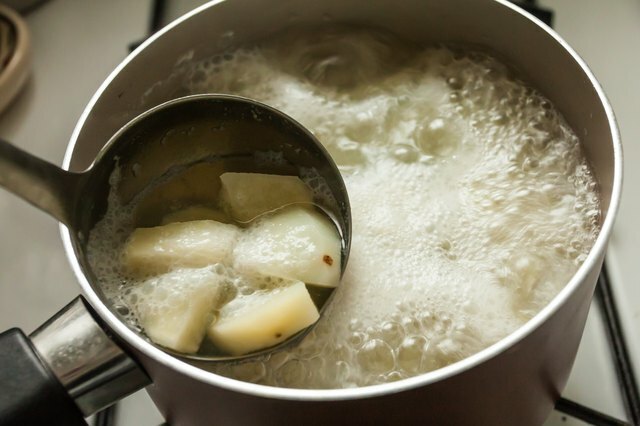 This method can lead to lumps, so if you want smooth potatoes, the kitchn website recommends using a potato ricer instead of a potato masher to solve the lump problem. The wrong tools and too much handling aren't the only culprits that lead to gluey potatoes. The wrong types of potatoes set you up for mashing failure, no matter how you mash them. 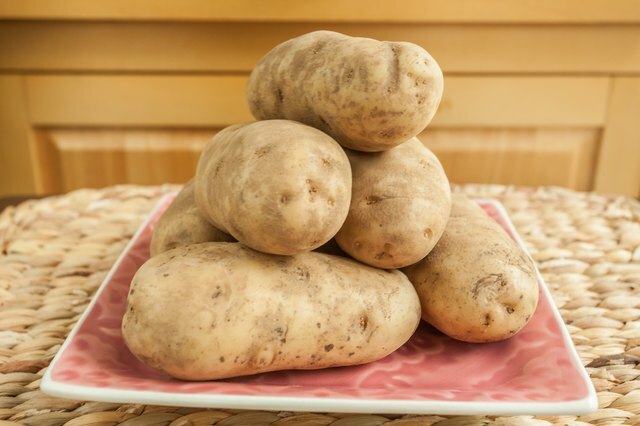 For perfect, fluffy potatoes, opt for high-starch varieties such as russets. 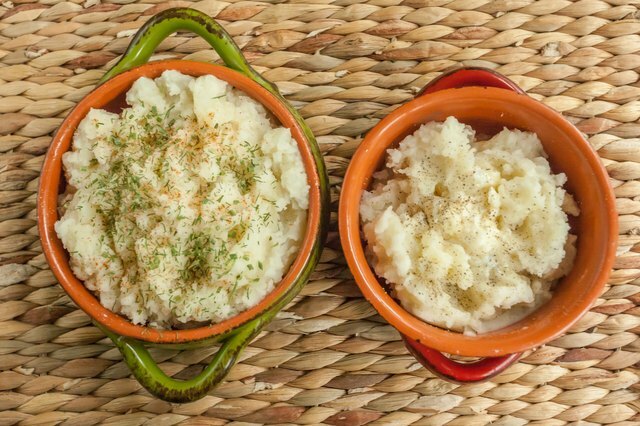 According to Fine Cooking, high-starch potatoes readily absorb the flavors you add to your potatoes and when not overworked, produce fluffy to creamy mashed potatoes. It's true you can't fix gluey potatoes, but if you don't have the time or ingredients to make a new batch, there are a few things you can do to improve upon them. The easiest is to stir in some non-gluey potatoes to try to get some of the right texture back. This fix is hit or miss. 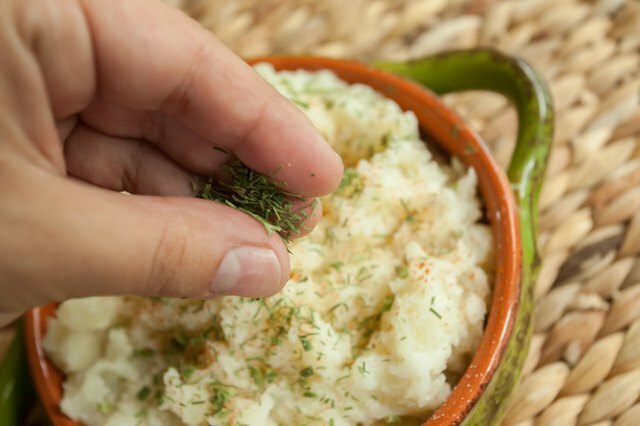 You also may create a different type of potato side dish by spreading the gluey potatoes into a casserole dish and topping them with butter, breadcrumbs and your choice of toppings such as cheese, garlic, bacon or fresh herbs. Bake them until the breadcrumbs become crisp and golden brown.